When it comes to restoring your smile from missing or failing teeth, you shouldn't have to wait. At Town Center Dental of LaGrange, we proudly offer "Teeth Today" as part of our effort to provide the most advanced and convenient restorative dental services available. Teeth Today is an excellent solution that uses innovative techniques and technology to provide fixed prosthetic teeth secured to dental implants in a single day. While traditional dental implant surgery often requires multiple visits and several weeks until you can get your prosthetic teeth, Teeth Today makes the process much simpler, faster and more convenient. We proudly offer the most preferred Teeth Today approach available, using the All-on-4 Implant Denture system. This advanced treatment option involves placing as little as four implants in strategic locations and angles to secure a full set of prosthetic teeth. Due to this innovative All-on-4 technique, less bone structure is needed to successfully support the dental implants. Patients walk away with high quality, implanted supported teeth that serve them well until the final restoration is ready to be placed. 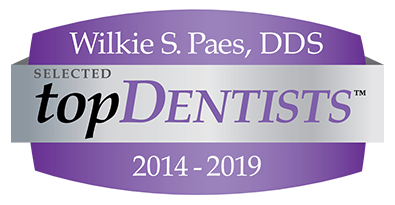 If you've decided to take advantage of Teeth Today from our office, your first step is to meet with Dr. Paes and get CT scans of your mouth and jaw. Meticulous measurements are taken at this appointment to facilitate your surgical plan and plan for the custom fabrication of your prosthetic teeth. Dr. Paes uses our advanced CBCT scanning to find the densest areas of bone for implant placement. The implant is then inserted at a precise angle to maximize bone coverage around the titanium post. Rest assured that placing All-on-4 implants is minimally invasive. Your surgical treatment is carefully planned ahead of time and guided by our advanced imaging technology. Therefore, the procedure is quick and post-surgery discomfort is minimal. Dr. Paes will anchor a set of top-grade prosthetic teeth to your dental implants during the same appointment. These are teeth you will have until your final teeth are finalized; they are fully functioning teeth that look natural and feel comfortable. In most cases, we like to see you approximately two weeks after your implant surgery to check your progress. We can then give you a better estimate as to when your final implant restoration will be ready. Dental implants are a life-changing investment, allowing patients to eat healthy, laugh confidently and speak properly despite their past experience with missing teeth. With advanced options like All-on-4, patients no longer have to wait months to get their implant-retained smile. For more information about Teeth Today or to learn if you qualify for the All-on-4 Implant Denture approach, please contact Dr. Paes of Town Center Dental of LaGrange today. We proudly offer flexible payment plans and easy scheduling options to patients in Poughkeepsie, Lagrangeville and the surrounding areas. For your added benefit, we offer a complimentary consult and free CT scan when choosing Teeth Today!